A study by Duo Labs looking at a series of name-brand PC makers revealed that their bundled software "is making us vulnerable and invading our privacy." "Updaters are an obvious target for a network attacker, this is a no-brainer," wrote Duo Labs researcher Darren Kemp. "There have been plenty of attacks published against updaters and package management tools in the past, so we can expect OEM's to learn from this, right? 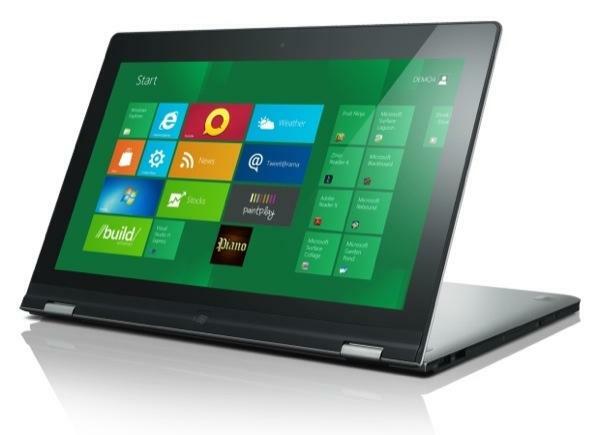 Kemp noted that an analysis of Windows 10 notebooks from Acer, Asus, Dell, HP and Lenovo found that "every vendor shipped with a preinstalled updater that had at least one vulnerability resulting in arbitrary remote code execution as SYSTEM, allowing for a complete compromise of the affected machine." He added, "the level of sophistication required to exploit most of the vulnerabilities we found is somewhere between that possessed by a coffee stain on the Duo lunch room floor and your average potted plant - meaning, trivial." Even without third party partners adding their own poorly designed bloatware, Microsoft Windows 10 was discovered to continue to connect to Microsoft's servers and send unknown data, even after users activate data privacy settings. China's Lenovo--the largest producer of both Windows PCs and Android smartphones--responded to the report by issuing a security advisory that "recommends customers uninstall Lenovo Accelerator Application by going to the 'Apps and Features' application in Windows 10, selecting Lenovo Accelerator Application and clicking on 'Uninstall,'"
One of the components of the Lenovo Accelerator Application is UpdateAgent, which Duo Labs had called "one of the worst updaters" due to the fact that it pings Lenovo's servers for new updates every ten minutes. Because there is "no verification or encryption protecting the transmission of updates, it's trivial for an attacker to insert malicious code," noted a report by ThreatPost. Duo Labs researcher Mikhail Davidov noted of UpdateAgent, "It was unclear at the time of discovery what its legitimate use was for," adding that "Lenovo's decision to advise users to uninstall it manually seems strange to me, as an update can be pushed to all affected models to uninstall itself without requiring user interaction." ThreatPost added, "These issues are not unique to Lenovo. All of the vendors' machines Duo Labs examined had similar flaws around a lack of encryption, privilege escalation and remote code execution vulnerabilities. Of those vendors who did encrypt the transmission of updates, for example, some were either poorly implemented or failed to include proper validation checks." Last year, Lenovo was discovered to have bundled Superfish adware on its notebook computers, software that was designed to hijacks users' browser sessions to inject customized advertisements but had a side effect of seriously degrading the security of encrypted connections. 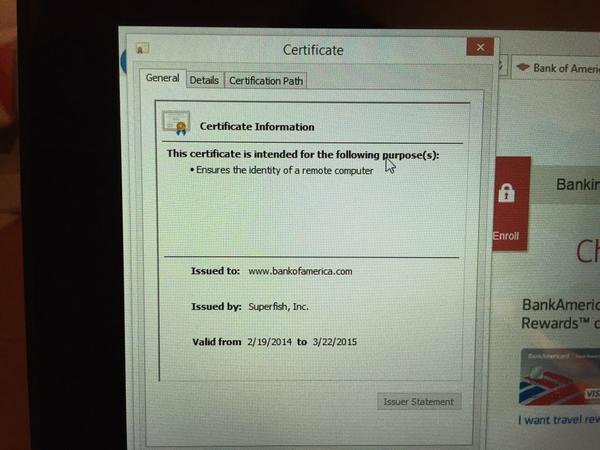 To inject ads in pages involving encrypted HTTPS requests, Superfish loaded its own a self-signed root certificate on the Lenovo machines. Pages loaded over HTTPS are signed with this certificate, rather than the actual certificate of the site owner, allowing Superfish to decrypt the contents without the user knowing. Lenovo responded by saying it would stop sending ads to Superfish-tained machines and stop installing Superfish on its new Windows PCs, but did nothing to solve the actual problem Superfish created for users. The company effectively blew off the findings of researchers by claiming in a statement that it "thoroughly investigated this technology and do not find any evidence to substantiate security concerns." The fact that top tier PC makers are all bundling their own poorly designed software with Windows, introducing easy to exploit security vulnerabilities, has a clear parallel on Android, where hardware vendors routinely bundle not just buggy software updaters but often even purposely disable the security configuration settings that protect devices from installing apps from malicious third-party sources and in some cases install security backdoors. A 2014 study by Bluebox Labs tested a dozen Black Friday bargain Android tablets from major retailers including Amazon, Best Buy, Kmart, Kohl's, Staples, Target and Walmart and reported "shocking" security flaws, malware and active backdoors installed on the new devices. These flaws are on top of issues that affect the Android OS itself, which have included vulnerabilities such as Masterkey, FakeID and Stagefright. Apple has doubled down on security and privacy as key features of its Mac and iOS platforms. Additionally, without any commercial interest in collecting user data for marketing purposes, Apple is in a unique position to defend user privacy and security. Last summer, Apple introduced WebKit Content Blockers as a secure new App Extension to enable developers to create tools that filter out any web content, including display ads and user tracking. The company is likely to outline further new initiatives in security and user privacy at its Worldwide Developer Conference to be held in San Francisco the week after next.